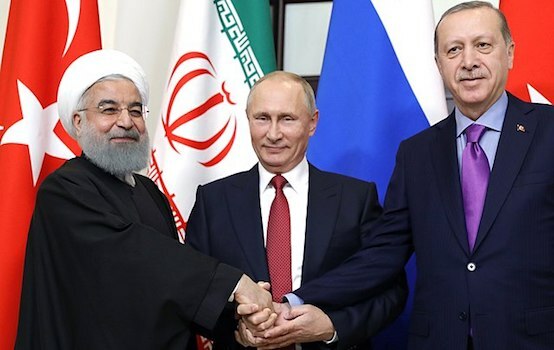 Something extraordinary just took place in Russia and it may have moved our disturbed world one major step nearer to peace and away from a looming new world war. Of all unlikely things, what took place was a nationwide remembrance by Russians of the estimated 27 to perhaps 30 million Soviet citizens who never returned alive from World War II. Yet in what can only be described in a spiritual manner, the events of May 9, Victory Day over Nazism, that took place across all Russia, transcended the specific day of memory on the 70th anniversary of the end of World War II in 1945. It was possible to see a spirit emerge from the moving events unlike anything this author has ever witnessed in his life. The event was extraordinary in every respect. There was a sense in all participants that they were shaping history in some ineffable way. It was no usual May 9 annual show of Russia’s military force. Yes, it featured a parade of Russia’s most advanced military hardware, including the awesome new T-14 Armata tanks, S-400 anti-missile systems and advanced Sukhoi Su-35 fighter jets. It was indeed impressive to watch. The military part of the events also featured for the first time ever elite soldiers from China’s Peoples’ Liberation Army marching in formation along with Russian soldiers. That in itself should shivers down the spines of the neoconservative warhawks in the EU and Washington, had they any spines to shiver. The alliance between the two great Eurasian powers—Russia and China—is evolving with stunning speed into a new that will change the economic dynamic of our world from one of debt, depression, and wars to one of rising general prosperity and development if we are good enough to help make it happen. During his visit, China’s President XI, in addition to his quite visible honoring of the Russian Victory event and its significance for China, met separately with Vladimir Putin and agreed that China’s emerging New Silk Road high-speed railway infrastructure great project will be integrated in planning and other respects with Russia’s Eurasian Economic Union which now consists of Russia, Belarus, Kazakhstan and Armenia with several prospective candidates waiting to join. While it may seem an obvious step, it was not at all certain until now. It’s Zbigniew Brzezinski’s worst geopolitical nightmare come to fruition. And that, thanks to the stupid, short-sighted geopolitical strategy of Brzezinski and the Washington war faction that made it clear to Beijing and to Moscow their only hope for sovereign development and to be free of the dictates of a Washington-Wall Street Sole Superpower was to build an entire monetary and economic space independent of the dollar world. Yet the most extraordinary part of the day-long events was not the show of military hardware at a time when NATO is not only rattling sabres at Russia, but even intervening militarily in Ukraine to provoke Russia into some form of war. What was extraordinary about the May 9 Victory Day Parade was the citizens’ remembrance march, a symbolic parade known as the March of the Immortal Regiment, a procession through the streets of Moscow into the famous and quite beautiful Red Square. The square, contrary to belief of many in the West was not named so by the “Red” Bolsheviks. It took its name from Czar Alexei Mikhailovich in the mid-17th Century from a Russian word which now means red. 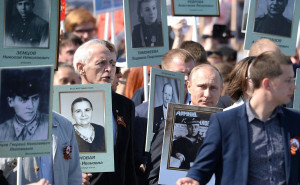 Similar Immortal Regiment parades involving an estimated twelve million Russians took place all over Russia at the same time, from Vladivostock to St. Petersburg to Stevastopol in what is now Russian Crimea. In an atmosphere of reverence and quiet, some three hundred thousand Russians, most carrying photos or portraits of family members who never returned from the war, walked on the beautiful, sunny spring day through downtown Moscow into Red Square where the President’s residence, the famous Kremlin, is also located. To see the faces of thousands and thousands of ordinary Russians walking, optimism about their future beaming from their faces, young and the very old, including surviving veterans of the Great Patriotic War as it is known to Russians, moved this writer to quietly weep. What was conveyed in the smiles and eyes of the thousands of marchers was not a looking back in the sense of sorrow at the horrors of that war. Rather what came across so clearly was that the parade was a gesture of loving respect and gratitude to those who gave their lives that today’s Russia might be born, a new, future-looking Russia that is at the heart of building the only viable alternative to a one-world dictatorship under a Pentagon Full Spectrum Dominance and a dollar system choking on debt and fraud. The entire Russian nation exuded a feeling of being good and of being victorious. Few peoples have that in today’s world. 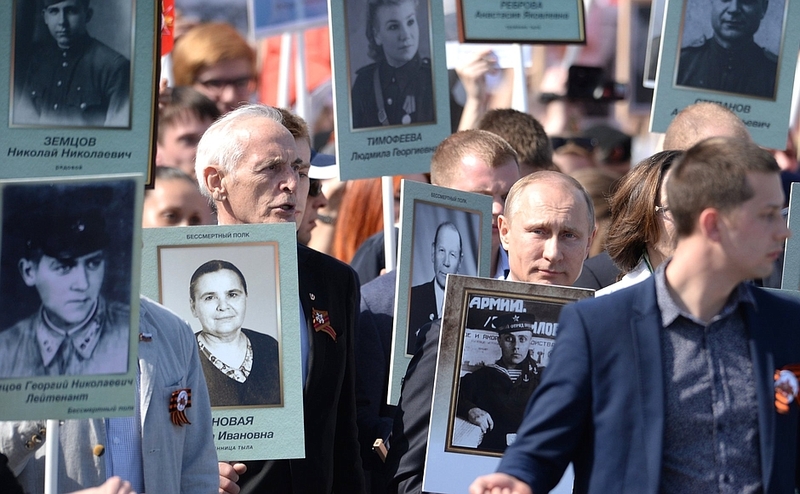 When the television cameras zoomed in on President Vladimir Putin who was also marching, he was walking freely and open amid the thousands of citizens, holding a picture of his deceased father who had served in the war and was severely wounded in 1942. Putin was surrounded not by bulletproof limousines that any US President since the assassination of Kennedy in 1963 would have, were he even to dare to get close to a crowd. There were three or four presidential security people near Putin, but there were thousands of ordinary Russians within arm’s length of one of the most influential world leaders of the present time. There was no climate of fear visible anywhere. My tears at seeing the silent marchers and at seeing Putin amid them was an unconscious reaction to what, on reflection, I realized was my very personal sense of recognition how remote from anything comparable in my own country, the United States of America, such a memorial march in peace and serenity would be today. There were no “victory” marches after US troops destroyed Iraq; no victory marches after Afghanistan; no victory marches after Libya. Americans today have nothing other than wars of death and destruction to commemorate and veterans coming home with traumas and radiation poisonings that are ignored by their own government. That transformation in America has come about in those same 7o years since the end of the war, a war when we–Americans and Russians, then the Soviet Union of course—had fought side-by-side to defeat Hitler and the Third Reich. Today the Government of the United States is siding with and backing neo-nazis in Ukraine to provoke Russia. I reflected how much my countrymen have changed over those few decades. From the world’s most prosperous nation, the center of invention, innovation, technology, prosperity, in the space of seven decades we have managed to let our country be ruined by a gaggle of stupid and very rich oligarchs with names like Rockefeller, Gates, Buffett and their acolytes in the Bush dynasty. Those narcissistic oligarchs cared not a whit for the greatness of the American people, but saw us as a mere platform to realize their sick dream of world dominion. I’ll let you in on a secret that I recently discovered. The American oligarchs ain’t all-powerful; they ain’t some new Illuminati or gods as some try to convince us. They ain’t omniscient. They get away with murder because we allow them. We are hypnotized by their aura of power. Yet were we to stand tall and clear in the open and say, “These silly would-be Emperors have no clothes!,” their power would evaporate like cotton candy in hot water. That’s what they’re terrified of. That’s why they are deploying the US Armed Forces into Texas to stage war games aimed at US citizens; that’s why they have torn up the Constitution and Bill of Rights after 911. That’s why the Created a Department of Homeland Security. It’s why they try to terrify our citizens to vaccinate with untested Ebola or other vaccines. It’s why they are desperate to control free expression of political ideas in the Internet. Now, when I reflect on the true state of America today compared with Russia, it brings tears. Today the economy of the USA is in ruins. It has been “globalized” by its Fortune 500 global companies and the banks of Wall Street. Its industrial jobs have been outsourced to China, Mexico, even Russia over the past 25 or so years. Investment in the education of our youth has become a politically-correct sick joke. College students must go deep into debt to private banks, some $1 trillion worth today, to get a piece of paper called a degree in order to look for non-existent jobs. Our Washington government has become serial liars who have lied to us about the true state of the economy ever since Lyndon Johnson during the Vietnam War ordered the Commerce and Labor departments to find ways to fake the numbers to hide the developing internal economic rot. The consequence, followed by every president since, is that we live in a fairy tale world where the mainstream media tells us we are in the “sixth year of economic recovery” and have a mere 5.4% unemployment. The reality is that more than 23% of Americans today are unemployed but through clever tricks have been defined out of the statistics. Some 93 million Americans are unable to get full time work. 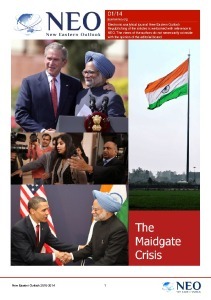 It isn’t the fault of Obama or Bush before him or Clinton, Bush, Reagan or Jimmy Carter. It’s our own fault because we were passive; we gave them the power because we did not believe in ourselves enough. We let billionaires decide for us who will be our President and Congress because we no longer believed that we were good. By the same token, Russians today, amid brutal Western economic and financial warfare sanctions; amid a NATO war in Ukraine that has led more than one million Russian-speaking Ukrainians to flee to Russia for safety, despite the demonization in the western media of their country, exude a new optimism about their future. What makes Vladimir Putin so extraordinarily popular, with over 83% approval, is that he acts out that growing sense of representing that Russian soul, the people who are good, being just, being right, the sense that the vast majority of Russians today have. That was overwhelmingly visible in the faces of the May 9 marchers. You could feel that Putin on the speaker’s podium felt it when he looked into the vast crowd. It was clear when Defense Minister Shoigu, a Russian-Mongolian Tuvan-born Buddhist, respectfully and humbly made the Orthodox sign of the cross with bowed head as he passed through the Kremlin’s Saviour Tower to take his place aside Putin. As Victor Baranets, a noted Russian journalist put it: ”At that moment I felt that with his simple gesture Shoigu brought all of Russia to his feet. There was so much kindness, so much hope, so much of our Russian sense of the sacred in this gesture.“ The legendary Russian Soul was manifest on May 9 and its alive and very well, thank you. And that’s why I shed the tears on May 9, watching hundreds of thousands of peaceful Russians walk through their capital city, the city that saw the defeat of Napoleon’s army and of Hitler’s. I was moved deeply watching them slowly and deliberately walking into the Red Square next to their President’s residence at a time when Washington’s White House is surrounded by concrete barriers, barbed wire and armed guards. You could see it in the eyes of the Russians on the street: they knew that they were good. They were good not because their fathers or grandfathers had died defeating Nazism. They were god because they could be proud Russians, proud of their country after all the ravages of recent decades, most recently the US-backed looting during the 1990’s Harvard Shock Therapy in the Yeltsin era. I shed tears being deeply moved by what I saw in those ordinary Russians and tears for what I felt had been destroyed in my country. We Americans have lost our sense that we are good or even perhaps again could be. We have accepted that we are bad, that we kill all around the world, that we hate ourselves and our neighbors, that we fear, that we live in a climate of race war, that we are despised for all this around the world. We feel ourselves to be anything but good because we are in a kind of hypnosis induced by those narcissistic oligarchs to be so. Hypnosis, however, can be broken under the right circumstances. We only have to will it so. The last time I wept at a public event was in November 1989 when the Berlin Wall came down and Germans—east and west—danced together on the symbol of the Cold War division between East and West, Beethoven’s Ode to Joy rang out. The German Chancellor made a speech to the Bundestag proposing the vision of a high-speed rail linking Berlin to Moscow. Then, Germany was not strong enough, not free enough from guilt feelings from the war, to reject the pressure that came from Washington. The architect of that vision, Alfred Herrhausen, was assassinated by the ‘Red Army Fraction’ of Langley, Virginia. Russia was deliberately thrown into chaos by IMF shock therapy and the criminal Yeltsin family. Today the world has a new, far more beautiful possibility to realize Herrhausen’s dream—this time with Russia, China and all Eurasia. This is what was so beautiful about the May 9 parade.